Please ioin us for a half-day symposium on the state of play of IP Rights under DoD contracts, grants and other vehicles. We will discuss the fundamentals under Bayh-Dole, the DFARS and CRADAs, and venture out into the territory of OTAs, contracts with IRAD funding, and new software acquisition models. 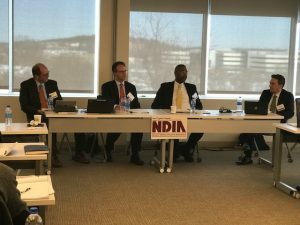 Panelists will include legal specialists and representatives from industry and government, including members of the “Government-Industry Advisory Panel” formed pursuant to Section 813 of the FY 2016 NDAA to review laws and regulations governing rights in technical data and proprietary data restrictions. The focus will not just be on the current state of the law but likely changes in the landscape. Breakfast and lunch will be provided. Elliott B. 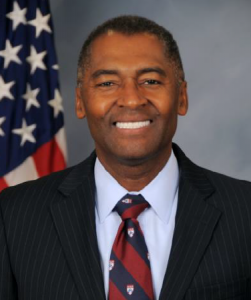 Branch is the Deputy Assistant Secretary of the Navy (Acquisition and Procurement) in the Office of the Assistant Secretary of the Navy (Research, Development and Acquisition). He is the senior career civilian responsible for acquisition and contracting policy that governs the operation of the Navy’s world-wide, multibillion-dollar acquisition system. Mr. Branch is the principal civilian advisor to the Navy Acquisition Executive for acquisition and procurement matters, serves as the Department of the Navy’s Competition Advocate General and is the leader of the Navy’s contracting, purchasing and government property communities. For more information click here. Our refund policy is to provide a full refund if a registered attendee provided notice or request for a refund prior to an Event being completed. NDIA NE will provide a credit to registrants that do not attend an Event and requests a refund after the Event has been completed. 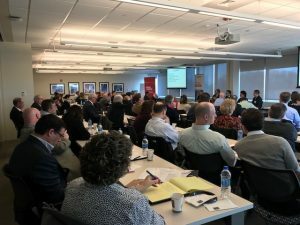 The credit provides you an opportunity to apply this credited value to any of the NDIA NE event scheduled in the same calendar year. Sponsorship opportunities are available exclusively through NDIA. Please contact info@ndianewengland.org if interested.